Age: Unknown. However, judging by his voice, it would seem he is still rather young, likely being only about 20 years old. Weapons: Schelt carries no weapons into battle with him. However, during combat, he is capable of summoning a collection of up to five magic staves to assist him in his unique brand of spellcasting. These staves, shown in the pictures, hold in common the effect of being bound to his soul, allowing him to telekinetically control them at will. However, they also each bear unique powers that can supplement his own magic. The first staff, the one shown held at the center of the above picture, is known as the Mirror Tower Staff. 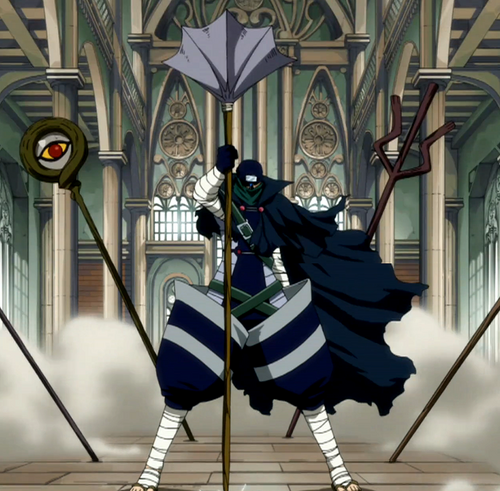 His preferred weapon of choice, this staff, when barriers are channeled through it, greatly increases their ability to reflect oncoming attacks, allowing Schelt to turn back incoming physical blows and projectiles to knock his enemies off balance, or even to assimilate their magic attacks and fire them back. The second staff, the one on the lefthand side of the above image, is called the Rod of the Evil Eye. It has the effect of increasing Schelt's passive eye abilities - see below - when held, allowing him to see more clearly, analyze his enemies attacks with more accuracy, and focus his barriers over greater distances, increasing his range. The third staff, pictured to the right in the above image, is known as the Trident of the Eternal Oak. Its power is simple: each one of its three prongs can channel a barrier, allowing him to project his shields much more quickly through it. His fourth and fifth staves are both significantly more powerful than his other three. However, they also take a great deal longer to summon. Pictured to the far right side of the .gif below, his fourth staff is the Rod of the Spiral. Its ability is to siphon energy through the barriers created through it, allowing Schelt to absorb and recycle his opponent's power once he blocks their attacks. Pictured in Schelt's hand in the .gif is his final staff: the Death's Head Staff. As all of Schelt's magic comes from manifesting his soul within or in proximity to his body, this staff, with its ability to amplify life force, essentially gives Schelt a large across-the-board efficiency and compression boost, allowing him to cast magic with a great deal more ease, and condensing his power to make it much tougher and more formidable. However, as this staff takes the longest of all five to summon, its usefulness is somewhat limited. Powers: Schelt's powers all are derived from a single concept: projecting his soul to tangibly effect the world around him. These powers are based upon an aria - a series of words of power that name the concepts within him, and thus invoke them. Only by reciting this aria can Schelt reach any significant level of power. However, on the other hand, as each line of the aria invokes a different part of his soul, the more of the aria he recites, the closer to his full power he becomes, gaining different fragments of his active and passive abilities for each line he completes, eventually adding up to give him a vast array of both active and passive abilities once all of the pieces fall into place. Schelt's main ability is, as you might have guessed, the manifestation of pieces of his soul, usually as defensive barriers which take the form of magical circles of varying size and complexity. However, they are uniformly circular, and, although transparent, are solid to the touch, and project both physical and magical force in a single direction, determined by Schelt himself. As his entire spellcasting proficiency has been focused solely upon the field of barriers, these shields are tremendously powerful, and can seldom be broken save by the most powerful attacks, making it very difficult to bypass his defenses. Naturally, however, this leaves him somewhat lacking in the realm of offensive abilities, with his only real magical attacks being to displace matter with the edge of one of his barriers, allowing him to "cut" things much like a portal cut, or using his barrier's repelling power to crush a target with tremendous force from a powerful shield. Additionally, his power to create barriers is hampered by several limitations as well. 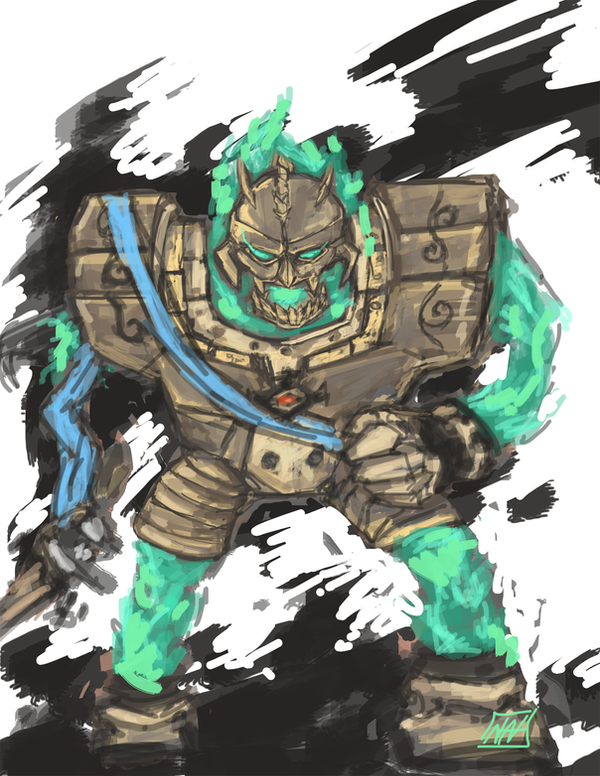 Firstly, Schelt's barriers are predefined manifestations of his soul, shaped and positioned prior to their summoning. Consequently, once summoned, he cannot move their positions, or alter their shape from its basic, circular form. And, as manifestations of his soul, they can only be created in the close vicinity of a physical tether: either his own body, another barrier, or one of his staves, the latter two both being other physical forms of his soul, and consequently providing an anchor of sorts for additional manifestations to form themselves from. Furthermore, at his basic level, he can only manifest a single fragment of his soul at a time, restricting him to only one barrier in existence at any given time, as well as additionally preventing him from simultaneously using barriers and other applications of his physical manifestations at once, such as his staves, or passive "buffs." These buffs are threefold, consisting of Endurance, Physical Ability, and Vision. Firstly, by manifesting his soul evenly over his body, Schelt can greatly increase his durability, allowing him to shrug off physical and magical attacks to an extent, minimizing what damage he cannot deflect or divert outright via shields. In this state, he is able to continue a battle even if dealt otherwise crippling wounds, requiring vital damage to actually incapacitate him. Alternatively, by focusing his soul into his muscles, and puppeteering his limbs from the outside as well, he can greatly improve his speed, agility, and physical strength. However, this focuses solely on offensive power, and thus provides very little in the way of defense. Finally, by empowering his right eye through a special arcane mark he bears tattooed over it, he can transform it into an Arcane Eye, capable of carefully analyzing both physical and magical structures, and determining weak points in both his enemy and their attacks. At its highest level, this Arcane Eye can even predict his enemy's movements by analyzing the slightest motions of their muscles and determining the moves they are making before they can even complete them, or, similarly, observing infinitesimal fluctuations in their magic power. However, each buff he employs, and each of his staves he summons, counts as a single manifestation, temporarily preventing him from using one barrier for each weapon or buff he uses. So, until he powers up sufficiently by reciting his aria, these uses of his Soul Manifestation ability are somewhat mutually exclusive. On a final note, it takes time and concentration to create manifestations at first, as, without reciting his aria, he must create a new connection between his soul and his physical body each time he manifests a part of his soul, forcing him to expend a great deal more energy than is necessary, and delaying his projections. Consequently, unless he starts reciting his aria, his barriers can be broken while still coming into existence, or his focus broken through other means to prevent his barriers from coming into being. Schelt's second ability is his aria, which essentially compounds the effects of his Projection for each line he recites. The effects of each line of his aria are listed below. Note that, as a passive effect of the aria, each line recited save for the very last line grant Schelt an additional maximum projection in addition to his initial limit of 1 projection. Line 1: Connection established, projection time and energy greatly decreased. Mirror Tower Staff can be summoned. Line 2: Vision buff enhanced, Rod of the Evil Eye can be summoned. Line 3: Physical Ability buff enhanced, Trident of the Eternal Oak can be summoned. Line 4: Endurance buff enhanced. Line 5: Barrier power increased. Line 6: Vision buff enhanced. Line 8: Endurance buff enhanced, Rod of the Spiral can be summoned. Line 9: Physical Ability buff enhanced. Line 10: All physical stats greatly increased, minor self-healing granted, magic energy partially recharged, Death's Head Staff can be summoned. Line 11: Barrier power increased. Line 12: Barrier immobility restriction removed: barriers are now fully mobile. Line 13: Barrier shape restriction removed: barriers can now be reshaped at will. Line 14: Magic energy greatly amplified. Line 15: All physical stats greatly increased. Line 16: Barrier power greatly increased. Line 17: All incoming enemy attacks erased from existence. Line 18: Third power can be deployed at will. Schelt's final power is his most formidable ability of all. Its nature is that of both his first and second abilities. It creates a connection between his soul and reality, and then projects his soul across that connection. The difference is merely one of scale. Accessible only by reciting the final line of his aria, this third power, instead of projecting a single fragment of his soul, projects his entire soul as an area of alternate space that overwrites reality, warping both him and his enemy into a world of his own making. This world takes the form of an endless, star-filled void, the ground of which is a flat, vast magic circle extending endlessly into the distance, its pieces constantly turning, spiraling, twisting, and warping. The sky, too, is filled with various different circles, runes, and sigils, creating an infinite space of stars and arcane symbols. Within this world, all restrictions on Schelt's projections are removed. He can create them anywhere and everywhere, and can do so in any numbers he desires, all the while enhancing his own body in whatever ways he sees fit and wielding as many of his staves as he feels like. Furthermore, his physical body is, in fact, entirely replaced, with his spiritual body overlaying itself over his real self to achieve an effect similar to restoring him to beyond full power and healing all of his wounds upon activating the reality shift. Consequently, within this space, not only are his projections incredibly formidable, but his physical abilities are as well, as he is capable of such feats as nigh-instantaneous movement, overwhelming strength, and unbelievable resilience. Because of all of these factors, if Schelt manages to last long enough to fully recite his aria, within his own world, he's nigh unstoppable, due to the simple fact that it becomes nearly impossible to actually damage him. However, there is still one chance to win. 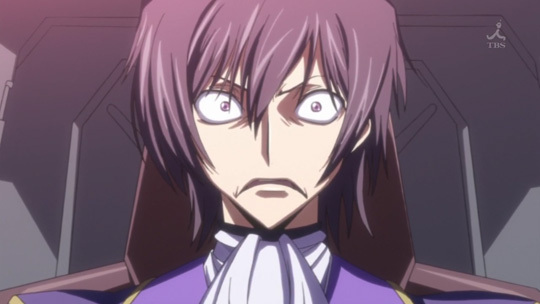 Once Schelt activates his reality shift, his increase in physical abilities comes at the price of allowing his enemies to target his spiritual body directly. Were his enemy to manage to severely damage him in this state, his powers would be entirely broken, and the world would return to normal, leaving him nigh helpless. Of course, actually damaging him in this state at all is a feat in and of itself, so the better strategy would be to simply stop him from finishing his aria entirely. Appearance: Clad in tattered, dark blue clothing, it's nearly impossible to make out any defining features of Schelt's face or body. Wearing dark leather armor reinforced with steel overlay and supported by hard, bandage-like wraps on his limbs, his clothing is bulky enough to protect him without overly encumbering his movement - although this latter purpose is somewhat hindered by the long, tattered mantle and capelet he wears over his armor, as well as the scarf and hat with which he conceals the entirety of his face. In any case, he is both a mysterious and formidable figure on the battlefield. -Poison rapier: To most opponents of reasonable size, this would be equivalent to being stabbed with a poisoned needle. Unlikely to produce an immediate effect until the poison starts working its way through the bloodstream, causing sluggishness and disorientation. -No permanent ranged weapon, though she may on occasion create spears out of ice. -Frost: Can freeze water when in proximity, including that water inside an opponent. She can control the shape the frozen water takes, and over time the effect can spread quite far, freezing water in contact with water that has already been frozen. -Healing – can easily recover from minor injuries, or even major ones with sufficient time and energy. This balances her frail physique, as it is easy to injure her, but said injuries are rarely permanent. -Flight: This is her main means of transportation. Due to this ability and her small size, there are very few places she can’t reach. Note: She's pretty dang tiny. Like, a few inches tall. Arcane Mastery: The Dark One can manipulate the flow of arcane energies throughout the fabric of reality, allowing him a limited range of abusing and ignoring the laws of physics and such for fun and profit. Powers include but are not limited to: opening portals, reshaping matter, casting fireballs, etc. Generally, these powers are reduced to extremely specific behaviors in the form of separate and distinct spells, only one of which can be active at any given time, but deity form allows him to push the boundaries of those behaviors. Elemental Shadow: Unique for his kind, the Dark One possesses the ability to manipulate elemental shadow, being able to shape it to his whim via his weapons, fire blasts of darkness, absorb and melt into shadows, and generally do fairly versatile things with the power that normal spells wouldn’t let him do, even with deity form. Semi-Corporeal Soul: The Dark One’s spirit manifests as a shroud of shadowy dust that surrounds any of his forms besides deity. Killing him requires both the physical body to be destroyed and the essence to be too scattered to reform; an exception is his deity form, which requires the Dark One’s spirit fully intact and thus is missing the shroud. 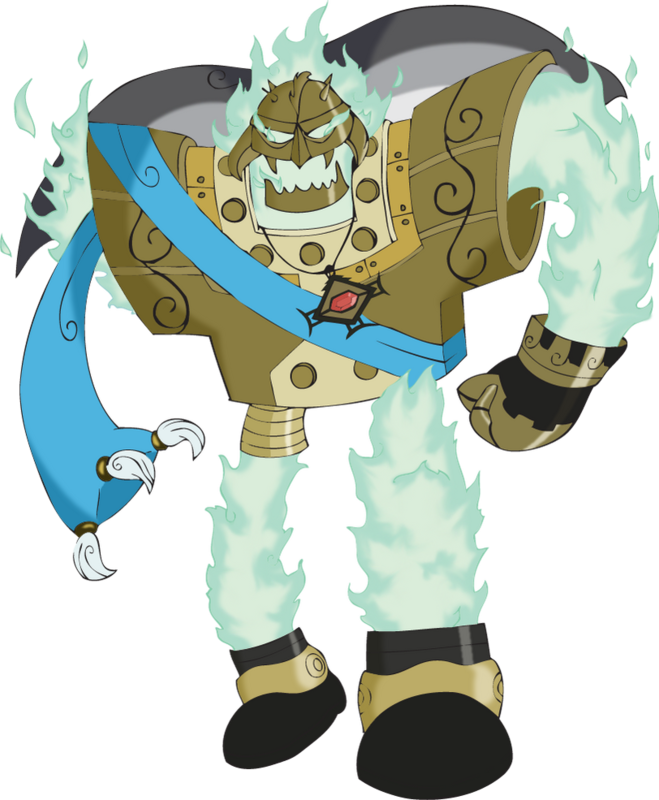 Due to this semi-corporeal nature, the Dark One also is capable of transforming his body to meet whatever requirements his current situation demands of him; chief among these forms are his natural state and his deity form. Appearance: Main form is a two-meter-tall draconic biped with a wingspan of three meters. Legs look digigrade but end in four-clawed feet; hands also have four claws. Skin is covered in bruise-colored scales, except for wings, which are leathery and tattered. Head, shoulders, back, and tail are covered in spikes; eyes are brilliant blue. Always surrounded by a shroud of thick black smoke that body constantly secretes. Eye of Dian Mu: An ancient pendant left hanging on a tree in Southern China. When its name is called out, it fires a bolt of lightning. Shimdal Sash: This sash serves as a third arm, or in Malachi's case, a second arm. It can stretch to incredible lengths. Fist of Bājíquán: This bronze glove boosts the strength of the user immensely, but only in short bursts. Defensive Artifacts: Aside from the three listed above, Malachi has access to four more, each with a different ability. Tiě Shān Tunic: While it normally seems to be an ordinary tunic, it transforms into an immense full-torso armor piece if the user's life is in danger. As Malachi's soul is all that remains of him, the tunic is always in its armor form while on him. Boots of Zhu Rong: These metal footwear allow the user to fly, via inexplicable fire from the bottom of the shoes. Don't question it, it just makes things more confusing. 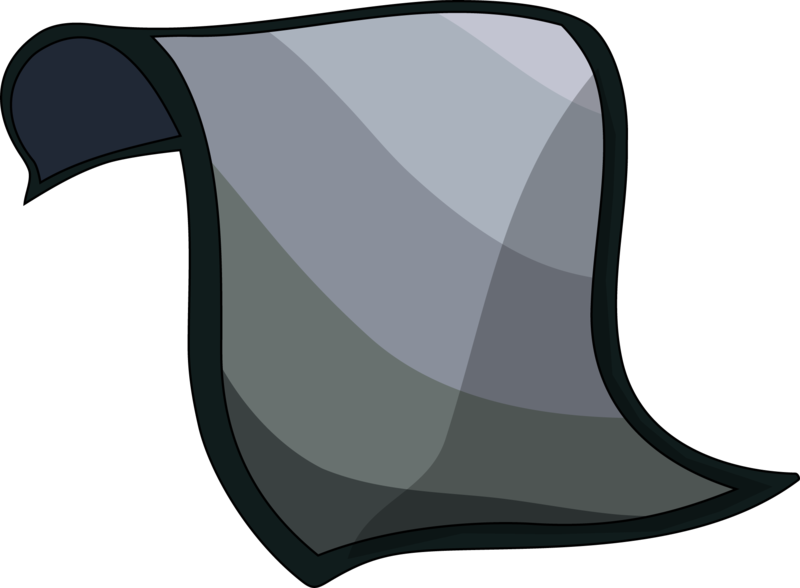 Shroud of Yama: Rumored to have been sewn by Death itself, this cloak turns the user invisible for a short period of time. However, the user can still be found by other senses. Appearance: A menacing sight to be sure, Malachi appears merely as a collection of artifacts bound together by green fire. Last edited by Genndy Oda C.O.G. on Wed Sep 18, 2013 8:32 pm, edited 2 times in total. 1. A venomous bite that is capable of killing someone. If bitten, the victim begins feeling pain around the initial bite area, followed by delirium, high fever, and involuntary muscle contractions. After approximately ten minutes, the victim is too weak to continue fighting, and they suffer angina pectoris, followed by death. 2. Clover has tiger's legs for her appendages. They are strong, capable of killing a cow with one blow. They are versatile, with the ability to be used for climbing as well as fighting. 3. She has an ossified carapace that covers her chest, back and neck. This carapace is sturdy, capable of of withstanding most attacks. Appearance: (Description or picture. Our servers can create your character from either) She is small and sturdy, with tiger's claws and vipers fangs. Her eyes are optimized to see well in the dark, and she has the hearing of a cat.